In our Sam and Max episode last week, we told you we’re playing Thimbleweed Park. From what we’ve already played, this game is as fun as any point-and-click adventure game we’ve ever played. No, seriously. Ron Gilbert and Gary Winnick have struck gold here and have worked tirelessly to bring creativity, joy, humor, and fun puzzles to this game that have created some sort of magical combination. We’re not done yet, but it’s pretty hard to put this game down, so it won’t take too long. Excited to share our adventures with this game with all of you, and hopefully you get a chance to play it as well. You still have most of April to go download it and play it. Man oh man, you won’t regret it! 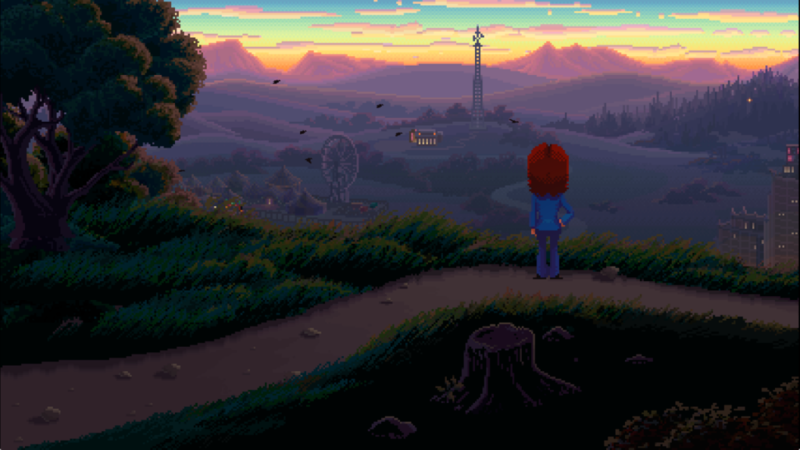 You canThimbleweed Park through Steam, Gog, the App store…really just about anywhere. Available on Mac, Windows, Linux, and Xbox One. This entry was posted in Up Next and tagged Thimbleweed Park. Playing this right now and I’m stuck! Love this game. And I love that I can’t look up a walk through. I’ll just have to use my old school brain power and wits. Oh nice! Hopefully you found a workaround. Let us know what part if you want some small hints. Loved this game!